OSWEGO, NY – Oswego Railroad Museum features Dairy Month and DL&W Railroad exhibits. June is National Dairy Month, and the Oswego Railroad Museum is celebrating with two exhibits in one, during the weekends of June 21-22 and 28-29. The combined exhibit will show how the railroads, such as the Delaware, Lackawanna & Western Railroad (known locally as the Lackawanna) worked with the dairy industry by building creameries, where farmers would ship their milk to, in order to have it processed. 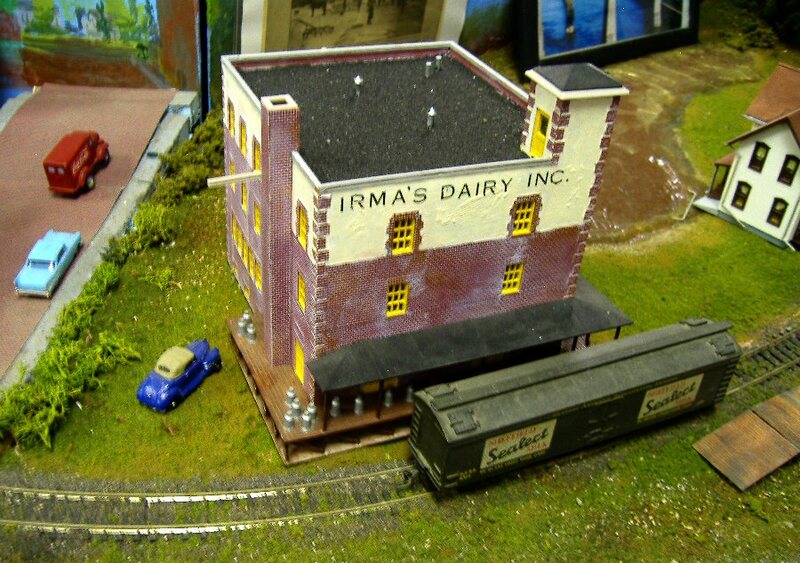 There will be models and photos of local creameries, as well as the railroad cars used to ship the milk TO them and the final products FROM them. Outgoing products went all over New York State, especially to New York City. The D,L +W RR was formed in 1851, but was proceeded, in Oswego, by Oswego’s first Railroad, the Oswego & Syracuse, which was incorporated in 1839 and opened in 1848. Its original station, built in 1848, still stands on the southeast corner of Oswego’s West Utica Street, between West Second and Third streets. The Lackawanna had two creameries, located between Oswego and Syracuse, at Baldwinsville and South Granby. 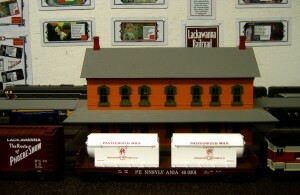 Other freight carried by the Lackawanna included Kingsford starch, lumber, coal, grain, cement and more. All Aboard! Celebrate Dairy Month at Oswego’s Railroad Museum. The museum is located on the corner of West First and Lake streets, near the harbor, and is open to the public from noon – 5 p.m. every weekend until Labor Day, plus some special weekends. Admission is only $2 for adults, $1 for youth and free for kids 6 and younger.